When you're expecting a new baby, there is a lot of information to keep track of, and those To-do Lists seem to grow longer and longer as baby's arrival nears. 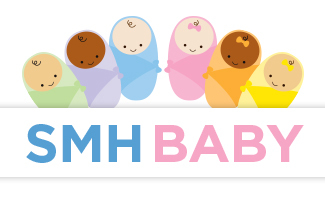 The free SMH Baby app offers pregnant and new moms an easy way to track milestones and log important information, making it an essential tool—mommy's little helper—whether you're excitedly expecting, diligently planning for the little one's arrival, or tracking essential newborn information, like breastfeeding schedules. A convenient, fun way to learn about and keep up with pregnancy milestones and to manage those neverending To-do Lists, the SMH Baby app is a must-have for today’s digitally savvy, expectant mothers. Easy and FREE to download. Lets you see how your baby is growing during pregnancy, using fruit for size comparisons. Handy appointment tracker and entry log for doctor appointments. Pregnancy tools like a Baby Kick Counter and Contraction Timer. Helpful resources like a Weight Tracker and Hospital Packing List. Automatic reminders for important dates like when to select a pediatrician and when to schedule a tour of the SMH OB facility. A Pregnancy Journal lets mom document her pregnancy and motherhood journey using text or photos. Easy access to local maternity and childbirth information like helpful Sarasota Memorial links, Childbirth Education Classes, SMH Maternity Services, Parenting News, and other local resources. Breastfeeding timer and breastmilk log, so you can track how much milk you're producing. If you would like to search for the app through a browser, please use the keywords "SMH Baby." Otherwise, you can simply scan the QR Code with your device, and it will take you to the app store. 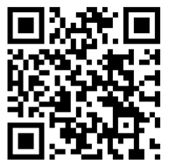 If you don't have a QR code reader on your device, follow these links for iPhone Scan Apps or Android Scan Apps.